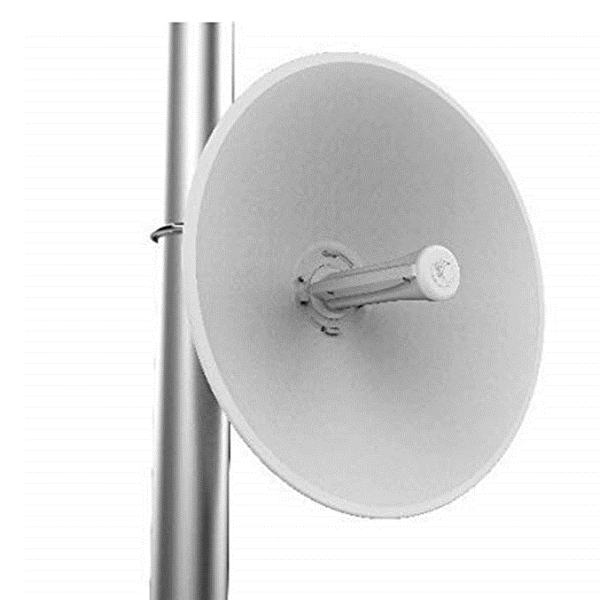 * Cambium Networks’ ePMP Force 300-25 is designed to operate in high interference environments and provides superior throughput of over 500 Mbps of real user data. * The ePMP Force 300-25 supports channel size configuration from 20MHz up to 80MHz and modulates up to 256 QAM. * The Force 300-25 supports a local Wi-Fi connection to allow easy installation, configuration, and monitoring from any Wi-Fi enabled device. * The ePMP Force 300-25 supports constant monitoring of the radio spectrum and allows for live action without bringing down the radio. * Configurable modes of operation ensure robust adaptivity to both symmetrical and asymmetrical traffic while providing high performance and round-trip latency as low as 3-5 ms.
* QoS management offers an outstanding quality for triple play services – VoIP, video, and data – and provides three levels of traffic priority.